In 1933, Europeans were only beginning to understand the horrors that the Nazi regime would bring to the continent. But already at that early stage, Jewish communities reacted with alarm to Hitler’s rise to power—and many consequently made the decision to emigrate. One of the most common destinations in the Western Hemisphere was Argentina, which had served as a haven for Jews escaping European persecution since the sixteenth century. 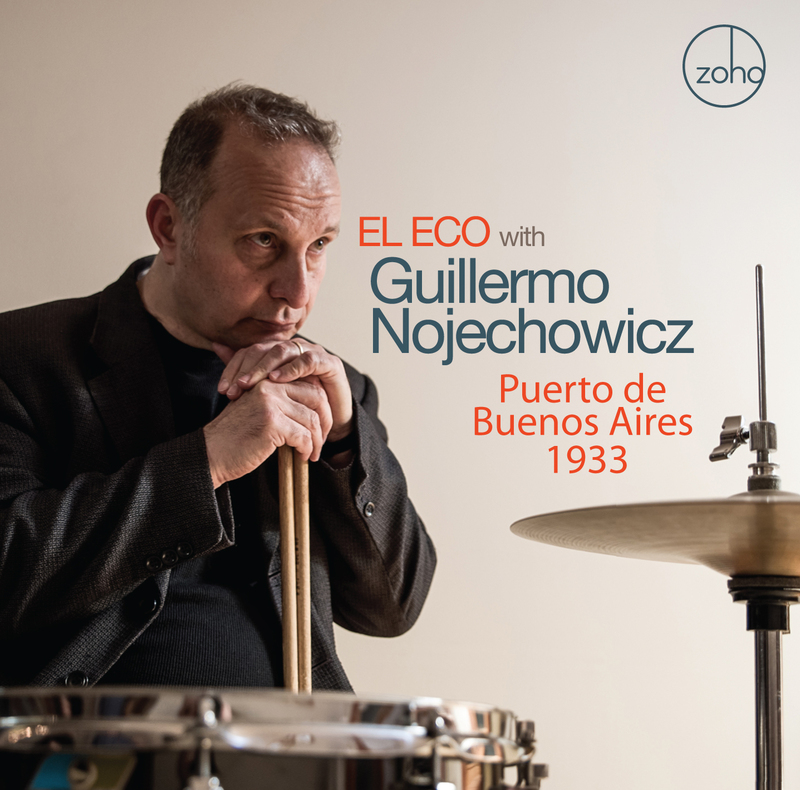 It is against this historical backdrop that Argentinian drummer Guillermo Nojechowicz composed most of the music on his latest release, Puerto de Buenos Aires 1933. The album is a tribute to his grandmother, who fled Warsaw in 1933 with Nojechowicz’s father, then a young boy, to settle in Buenos Aires. Fortunately, Nojechowicz’s creativity as a composer and bandleader is on full display, as the music gives ample voice to the human resilience that is its inspiration. Nojechowicz specializes in making rhythmically potent jazz on an Argentinian-Brazilian trajectory, with danceability and dynamic motion his trademarks. This gives the music its positive buoyancy despite the harrowing subject matter of the story it brings to life. It also helps that he has a strong set of colleagues in his band, El Eco: pianist Helio Alves, saxophonist Marco Pignataro and bassist Fernando Huergo combine with New York Voices co-founder vocalist Kim Nazarian and guest trumpeter Brian Lynch to provide a supple foundation for Nojechowicz’s emotionally vibrant compositions. It’s always the rhythms that jump to the fore: whether a gentle Uruguayan beat on the somber opener, “Milonga Para Los Niños,” or the more assertive Argentinian chacareras, “The Possibility of Change” and “Puerto de Buenos Aires” (the latter fueled by Huergo’s punchy electric bass), the music’s passion and urgency are always paramount, providing the underlying vitality that is essential to the album’s success. There’s no denying the melancholy air that characterizes much of Nojechowicz’s music here. But a celebratory spirit ultimately prevails. Nowhere is this more evident than the album’s closer, “Friday Night Mambo.” The poignant tune evokes a sense of uncompleted yearning; but it’s the piece’s quickening energy, fueled by the lyrical power of Pignataro’s and Lynch’s solo statements and Nazarian’s soaring vocals, which reminds us that there’s a great deal of hope and joy to be found in something as simple as a danceable song.